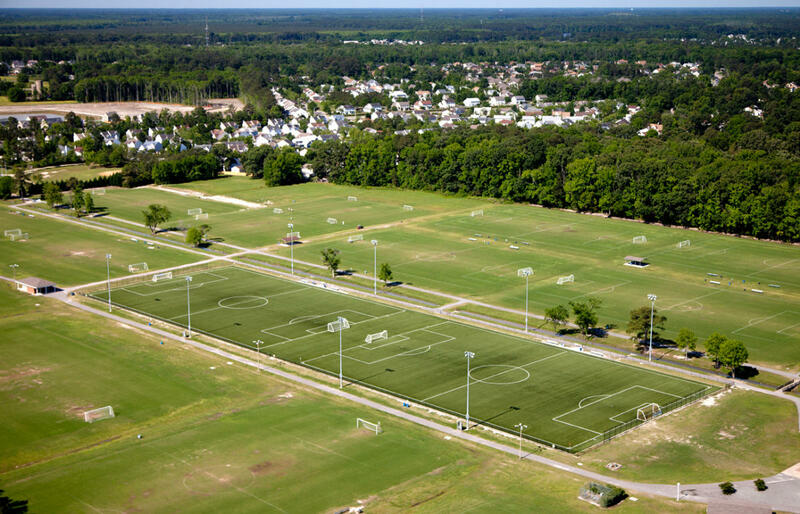 More than 50,000 out-of-town visitors set foot on these fields each year. 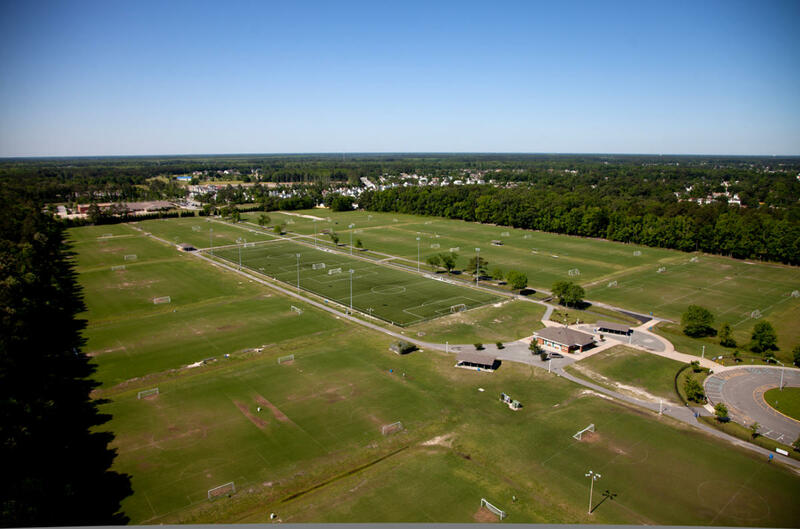 Opened in 1990, the outdoor, 75-acre soccer mecca that features 19 grass turf fields hosts a number of soccer and outdoor field events. 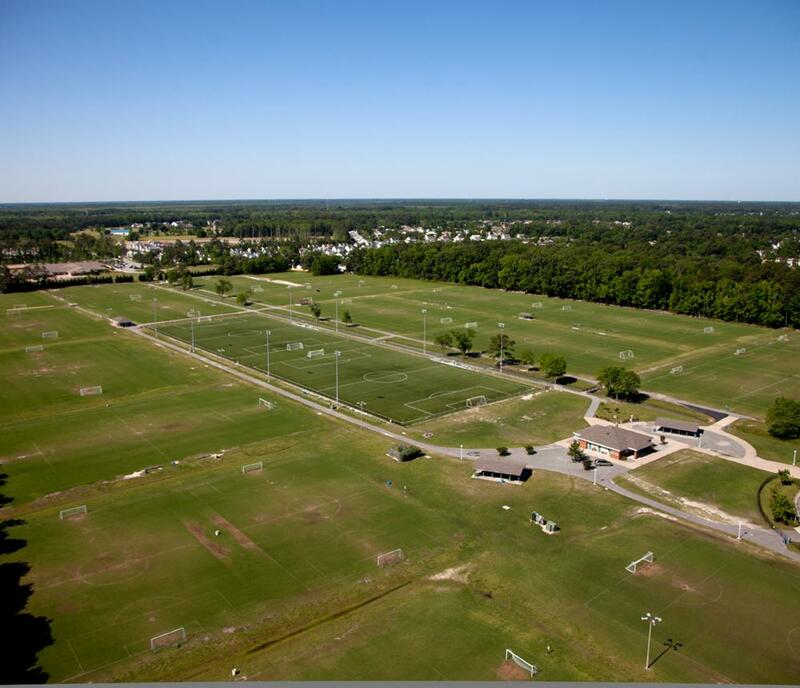 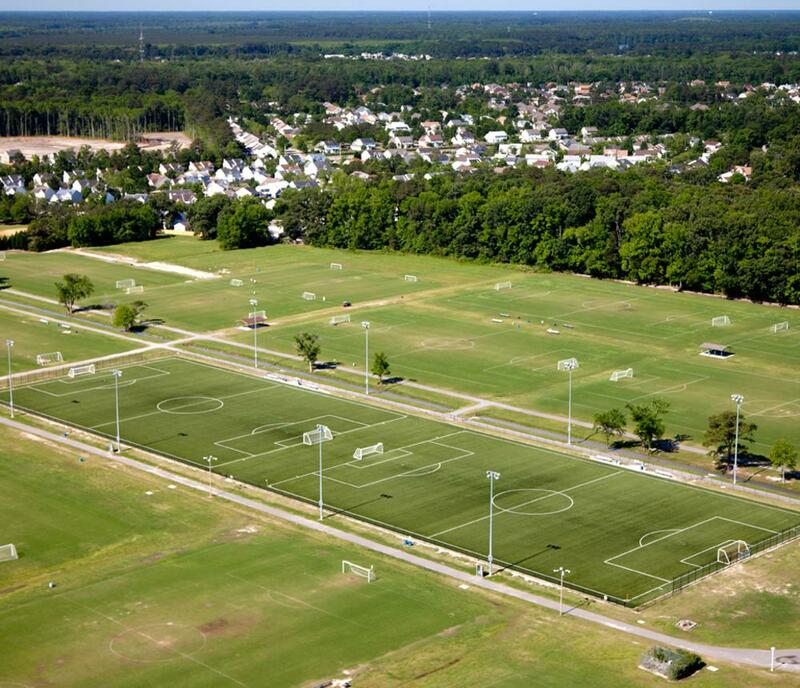 It's located less than one mile from the Virginia Beach SportsPlex.